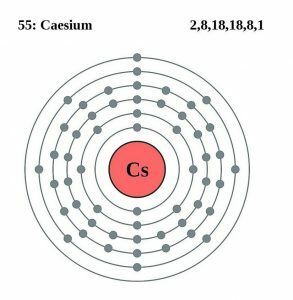 Cesium (pronounced as SEE-zee-em), sometimes spelled as caesium, is a highly reactive metal when exposed to air and water. 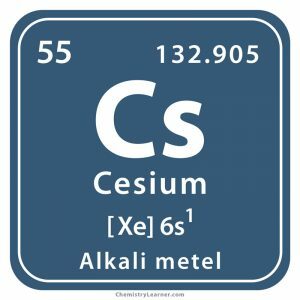 Denoted by the chemical symbol Cs, it belongs to the family of alkali metals . It has one naturally occurring isotope, Cs-133 while the rest thirty-five are unstable. It exists naturally in the minerals lepidolite and pollucite found in the Bernic Lake of Canada and USA. On a commercial scale, it is obtained as a by-product of lithium production . 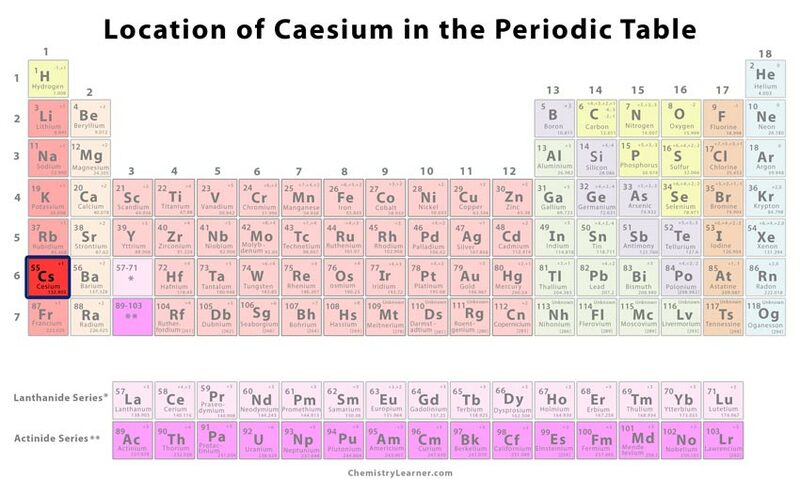 Origin of its Name: The element got its name from the Latin word ‘caesius’ which means sky blue. In 1846, Carl Plattner analyzed only 93% of the mineral pollucite and assumed to have detected only sodium and potassium. In 1860, Kirchoff and Bunsen at Heidelberg, Germany examined the mineral water from Durkheim to find new spectral lines that indicated the presence of a new element. However, they could only obtain seven grams of cesium chloride without extracting the pure metal. Later, Carl Theodor Setterberg at the University of Bonn obtained it through electrolysis of molten cesium cyanide. Atomic clocks and wrist watches made from cesium, also called cesium-beam frequency standard, are used in internet and mobile phone networks, and Global Positioning System satellites to measure the standard time . It plays the role of a catalyst in the hydrogenation of some organic compounds. 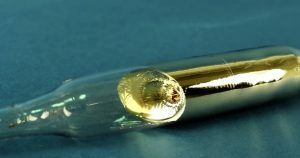 The element, when combined with oxygen, acts as a getter to remove trace gases and other impurities from vacuum tubes . Seed implants made from Cs have been used as a part of brachytherapy for treatment of prostate cancer . In some animal studies, the quantity of the element had been increased to raise the pH of the tumor cells and kill them. Cesium-137 implants have been used in some clinical trials to carry out radiation therapy of breast cancer . Cesium vapour magnetometer is used in the measurement of earth’s magnetic field . Accidental ingestion can affect the liver, intestine, and kidneys. Eye contamination or spillage over the skin can cause extreme irritation and inflammation . The nuclear explosion of uranium produces the two isotopes, Cs-134 and Cs-137 . 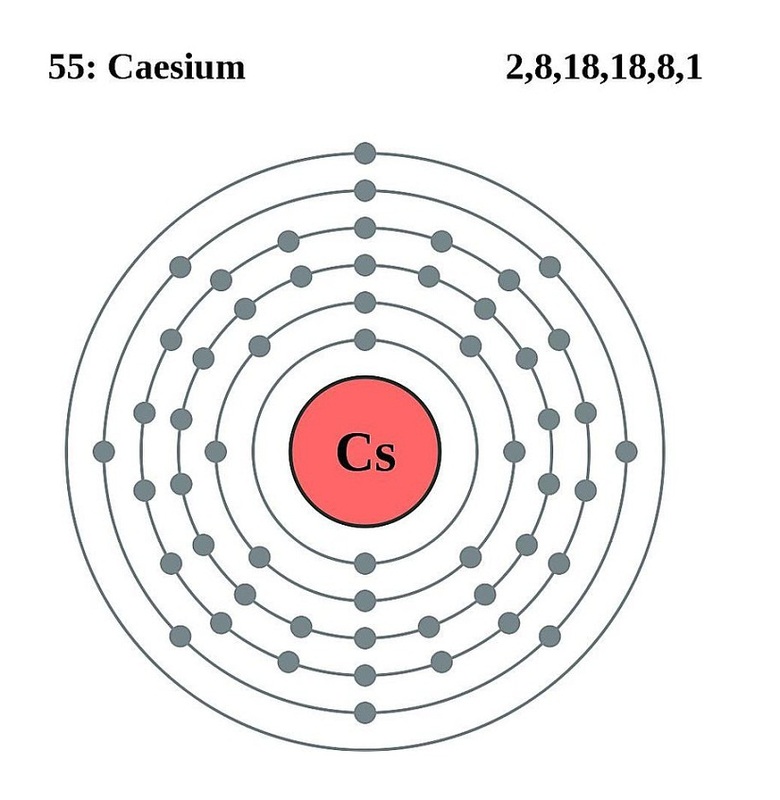 As cesium ions can be ionized and have a high mass, they may be used as a propellant in ion engines of spaceships . 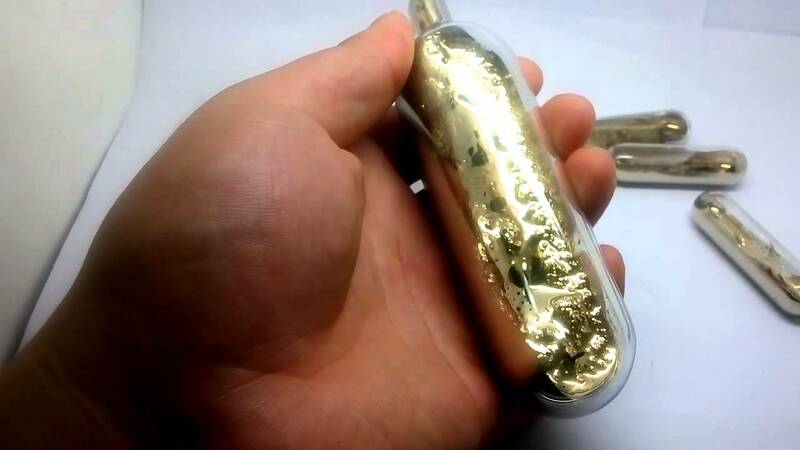 The cost of the metal may range between $38 and $40 per gram.